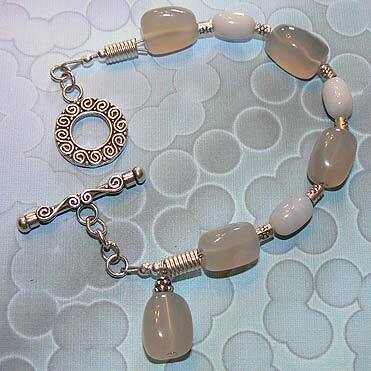 Chalcedony earrings, bracelet, necklace and close-up of necklace. 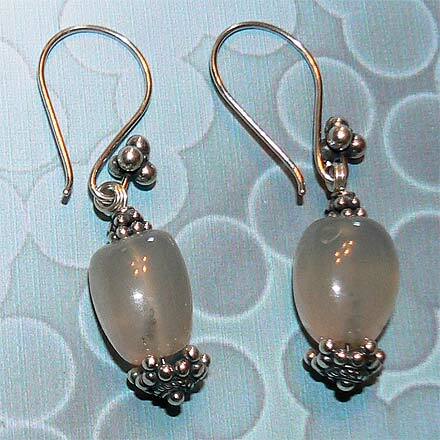 What is strange about blue Chalcedony is the pinkish cast it has, causing the beads to almost look pinkish. 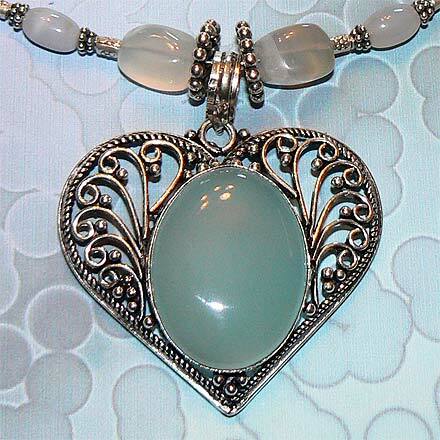 It is a most unique color effect. 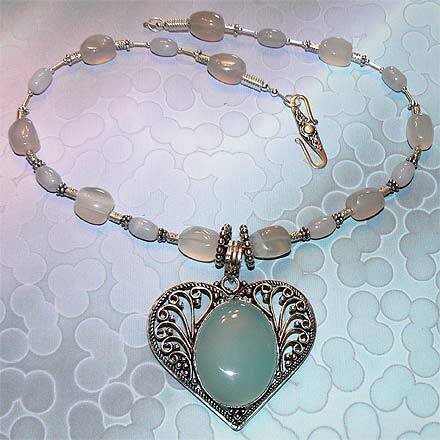 Necklace has a wonderful greenish-blue Chalcedony cabachon set in an ornate heart-shaped pendant.